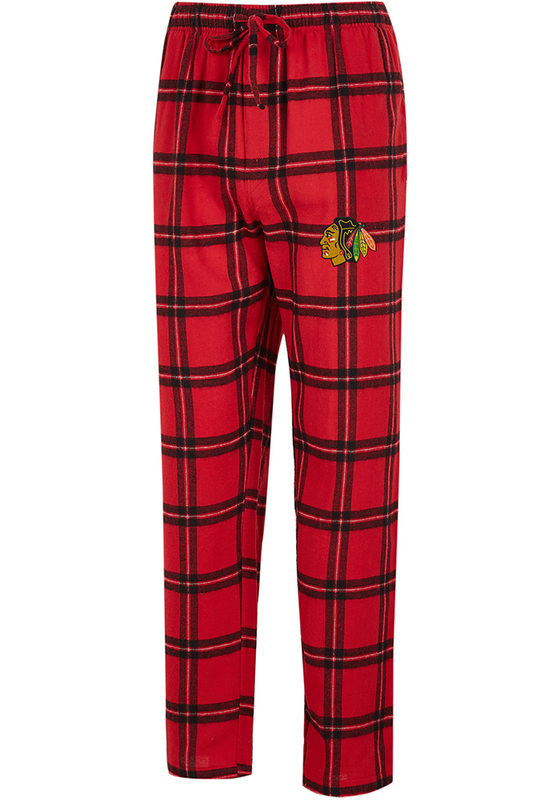 Catch some Zs and dream about the Blackhawks in these comfy Chicago Blackhawks Red Sleep Pants. Whether you're lounging around watching the big game or catching up on some homework, these Chicago Blackhawks Homestretch Lounge Pants will keep you relaxed and comfortable. These Sleep Pants feature a Sleeppant with plaid design and team graphic on left leg..